“Reading the Landscape for Regeneration and Resilience,” an interactive tour and presentation with Ben Falk! Ben will use the student farm for exploring small-scale permaculture, discussing improvements that can be made to traditional agricultural operations and backyard gardens to make them more ecologically enhancing and resilient to flood, drought, pests and other stresses. Topics of discussion with include water catchment and reuse, site analysis and site-specific plantings, earthwroks and optimizing overall site layout. He will also give a talk about his work at Whole Systems Design in Mad River Valley, VT, showcasing the design and development of human habitats that are adaptive, resilient, and more secure in a future of peak oil and climate instability. Ben Falk, M.A.L.D, developed Whole Systems Design, LLC, as a land-based response to biological and cultural extinction and the increasing separation between people and elemental things. Life as a designer, builder, ecologist, tree-tender, and backcountry traveler continually informs Ben’s integrative approach to developing landscapes and buildings. His home landscape and the WSD studio site in Vermont’s Mad River Valley serve as a proving ground for the innovative land developments featured in the projects of Whole Systems Design. Ben has studied architecture and landscape architecture at the graduate level and holds master of arts in landscape design degree. He has taught design courses at the University of Vermont and Harvard’s Arnold Arboretum as well as on permaculture design, microclimate design, and design for climate change. He recently served on the board of directors at the Yestermorrow Design-Build School, where he also teaches from time to time. Ben Falk’s book, The Resilient Farm and Homestead, details leading-edge strategies for regenerating soil, water systems and human health through the design and operations of the homeastead and farm. It will be available for purchase at the event. This event is free and open to the public. 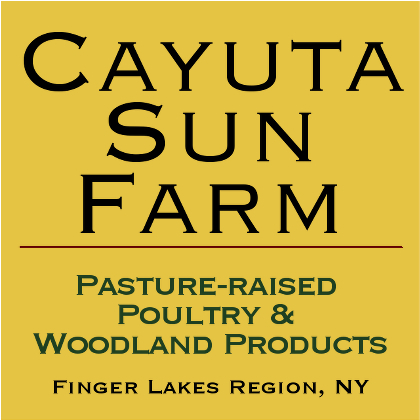 It is sponsored by Dilmun Hill Student Farm, Cornell Garden-Based Learning, CU Collaborate and the Toward Sustainability Foundation. Directions to Plant Science: The Plant Sciences building is located on Tower Road between Bradfield Hall and Kennedy Hall on the Cornell University campus. When entering Plant Science from the ground level at the parking circle, this room is accessed by walking up the set of stairs immediately to the right.